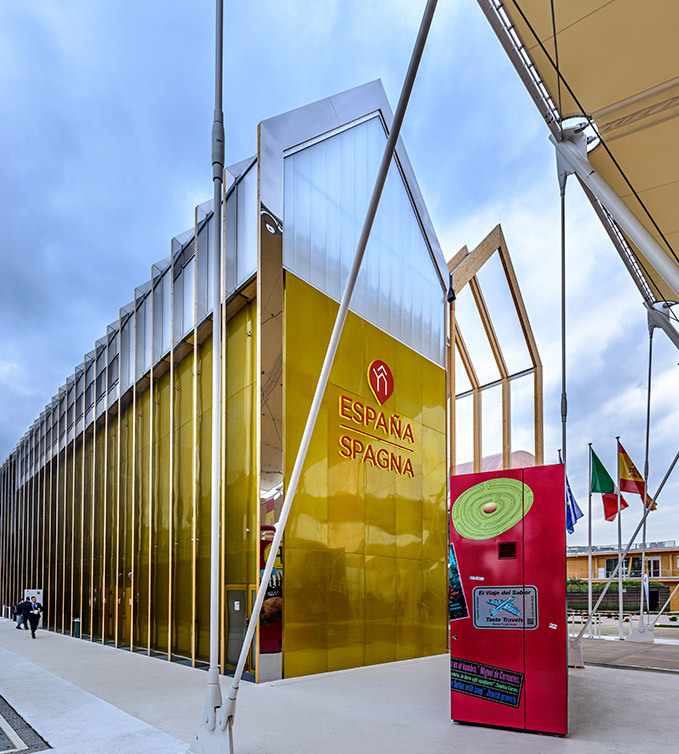 Almost 1,000m2 of the innovative ultracompact surface, Dekton® has been placed in the Spain Pavilion of Expo Milano 2015. The material has been applied on the floors of the public space, the exhibition area, multi-purpose room, vegetable garden, and in the workshops and restoration areas. It is also used on the counter of the tapas bar, the auditorium bar and VIP bar area, as well as the staircase, which provides access to the restaurant on the second floor. In addition to this, Cosentino has contributed three basins manufactured with the quartz surface, Silestone® to the Spain Pavilion. The Spain Pavilion designed by b720 Fermin Vázquez studio, wishes to be a benchmark for excellence in current Spanish architecture. 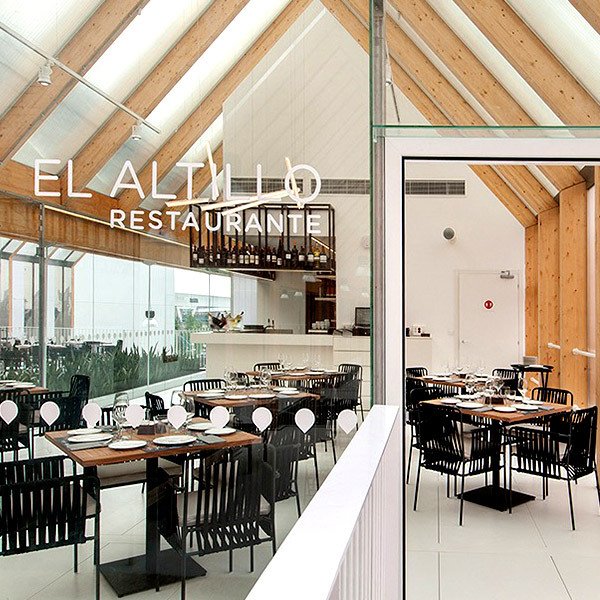 With a surface area of over 3,000 m2, the building is inspired by a twin unit greenhouse, with a portico shape structure. Its geometry is clear and contained, a merger of the two basic elements to be projected: tradition and innovation. 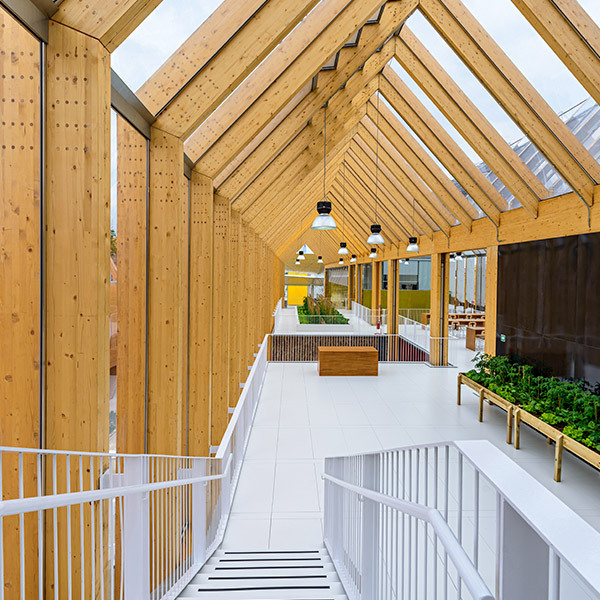 This contrast is also shown in the main spaces of the building: the auditorium or multi-purpose room, the exhibition area, vegetable garden, a restaurant, two bars, the store and workshops. Dekton Worktops Zenith 2cm 3 Formats 16 m of worktop tapas bar (wide = 0.60 m), 10 m of worktop auditorium bar (wide = 0.80 m) and 5.40 m of worktop VIP area bar (wide = 0.30 m). One of the most attractive and innovative interior design proposals to be found in the Pavilion will be the recreation of the tomato genome using Dekton® surfaces, printed using inkjet technology. 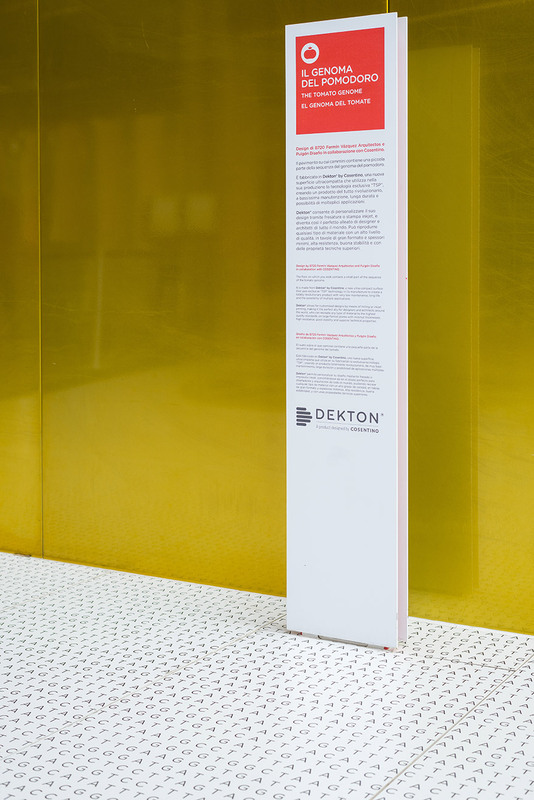 The slabs of Dekton® are used to form the flooring of the exhibition and public space on the ground floor. 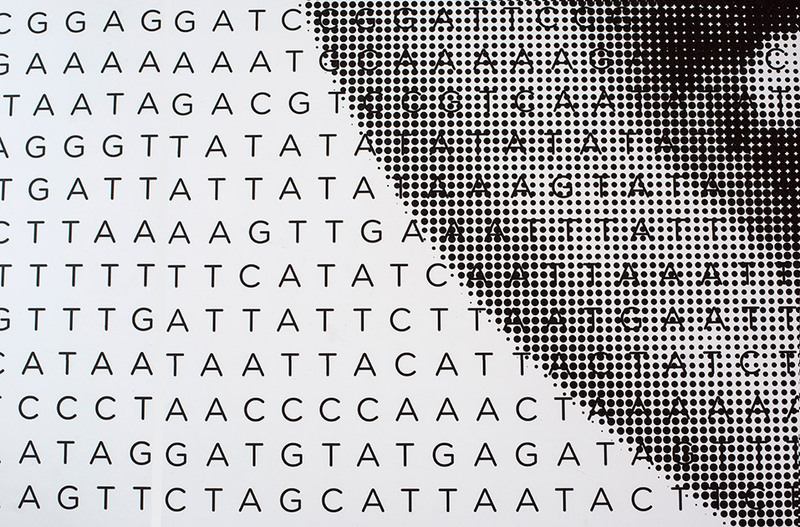 Within the context of the “The language of flavour” slogan, Fermín Vázquez architects studio came up with the idea of recreating the tomato genome - one of the most important recent steps taken in the field of biotechnology and scientific research. The tomato genome was sequenced for the first time in 2012, and this was a major step forward in improving the variety of crops and for the future of agriculture. The b720 studio was strongly committed to Dekton® as the best partner in order to achieve this stunning design; the Dekton® tables in 2cm Zenith colour were personalised using an inkjet printer with the DNA sequence marked in letters and the shape of a tomato drawn on a scale of grey colours. EThis is possible because Dekton® allows a very high level of customisation in design, and is therefore the perfect surface for designers and architects all over the world. The personalisation has two variations, which can be applied separately or together: using milling technology and inkjet printing technology. In this specific case, the latter solution has been used for the Spain Pavilion. Inkjet technology can be used to print the Dekton® slabs with the design which the client or professional wishes to use, so achieving amazing results. The material’s excellent technical performance is maintained over the entire surface, including the areas where the customisation has been applied. 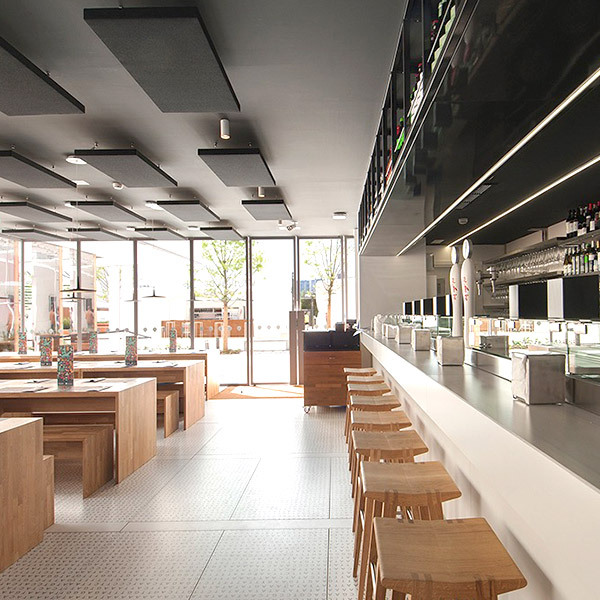 The large size of the Dekton® surfaces create an image of high quality in the areas paved with this material. 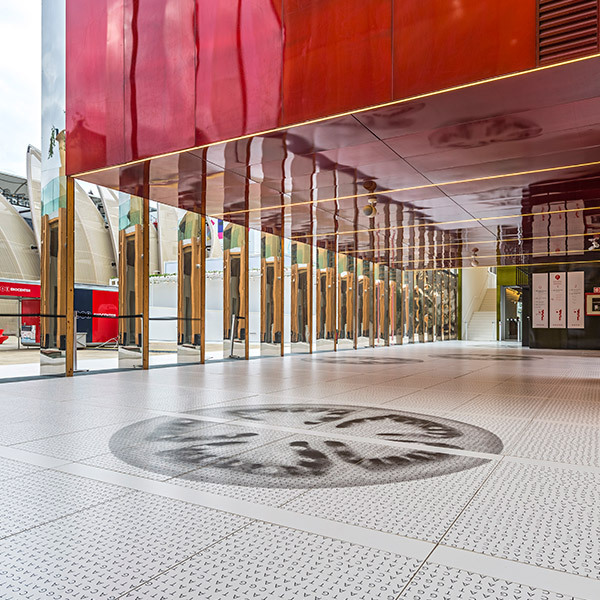 From a functional point of view of its properties, its hardness and high resistance to abrasion, and the fact that it is hardwearing in areas of continuous foot traffic, make it a perfect product for spaces that are used intensively. In addition, its easy daily maintenance is ahuge plus to highlight for buildings with high levels of activity. Another great advantage that Dekton® offers is the fact that pieces can be custom-made into large format surfaces (Dekton® slab size 3200x1440mm), with a minimal joint of 2mm. The exceptional technical characteristics of Dekton® make it an ideal material for kitchen and bar worktops both in private homes and for professional use. Dekton® is an incombustible product with excellent heat resistance, allowing direct contact with hot objects. The very low porosity of Dekton® and its high hydrolysis resistance, allow the application of the material in very exposed outdoor spaces like the vegetable garden. Cosentino’s contribution is completed with three Armony wash basins made out of Silestone® for bathrooms. The wash basins with measurements of 90x47 and 120x47 use the Riverbed tone belonging to Eco Line, the Silestone® ecological alternative. This collection is manufactured using at least 50% of recycled materials such as glass, crystal or porcelain. 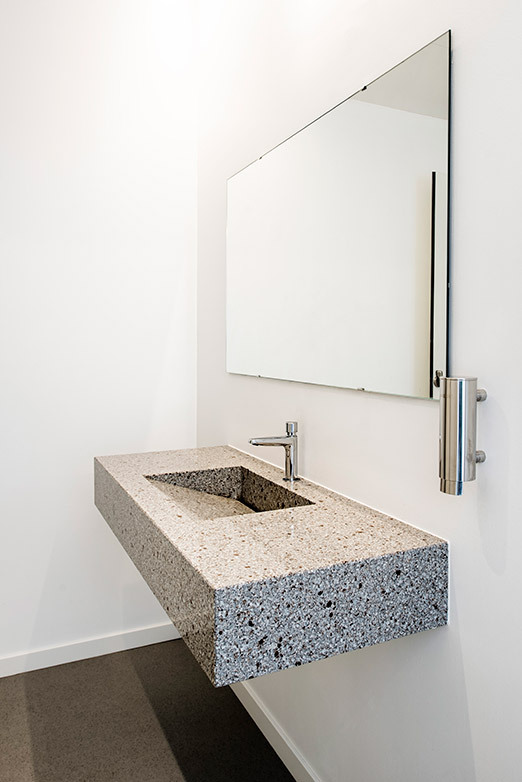 Silestone®’s natural beauty and physicalmechanical characteristics, including high resistance to stains, scratches and impact make it the ideal material to be used in bathrooms. The Silestone® bath collection reinvents the bathroom space thanks to the custom-made large format concept, giving the room more integration and continuity of its elements. The large size of the pieces means that only a few number of joints are required, providing more visual continuity and increased hygiene standards. After the 2010 Expo being held in Shanghai, 2015 is Milan’s turn. From 1 May to 31 October, Milan will host one of this year’s most important events. 144 countries are taking part this year, and over 20 million people are expected to visit the Universal Expo. It is estimated that the Spanish Pavilion will receive around 2.2 million visitors in total, about 12,000 visitors a day. 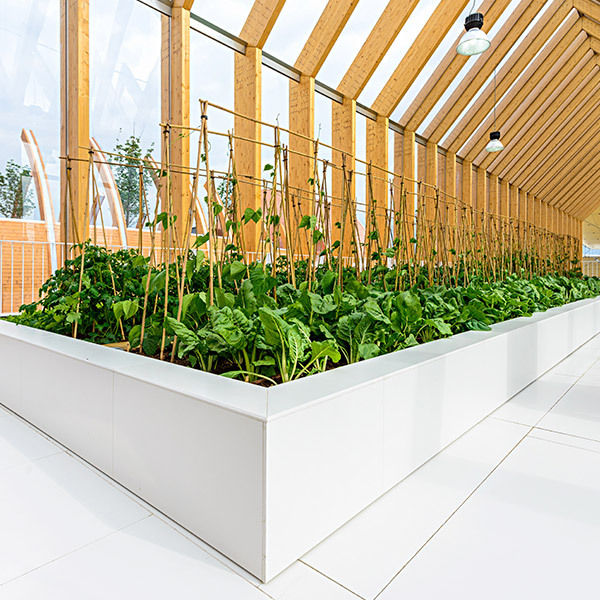 With the official slogan of “Feeding the planet, Energy for life”, Expo Milano wants to be remembered not only for is architecture and activities, but also because of its input towards debate and education regarding nutrition, food and global resources. 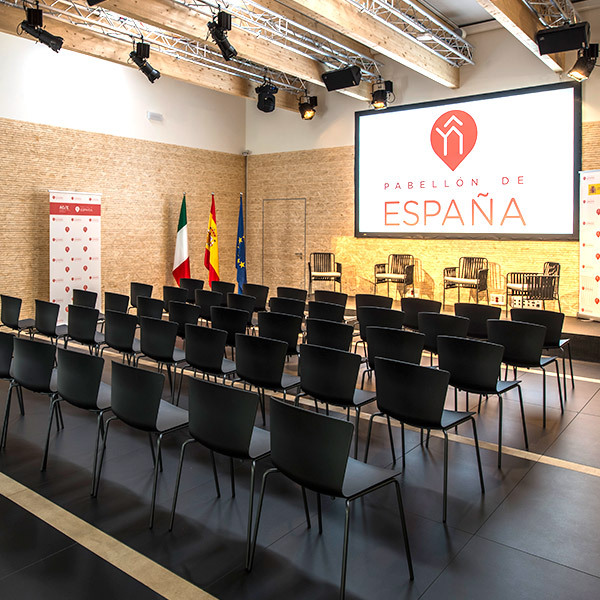 The Spanish proposal is based around the slogan “The language of flavour”, which will be projected around two basic concepts: Tradition and Innovation. The Cosentino Group currently distributes its products in over 80 countries, with its own assets in 26 of these countries. Cosentino is committed to this global event and shares the core values and thematic focal points of the Expo and also of Spain’s proposal: Food, cuisine, efficiency in resources, design and technological innovation are also basic signatures of the Almeria-based company’s activity. ISO 14001:2004: This recognition certifies and strengthens the excellence of the Cosentino Quality and Environmental Management System..
ISO 9001:2000: This certification endorses Cosentino’s commitment to the continuous improvement of the quality of the services and products offered to customers worldwide. Greenguard: Dekton® and Silestone® have been analysed by the Greenguard programme, certifying that neither of them emits any VOC (Volatile Organic Compounds). Dekton® and Silestone® have achieved the Greeguard y Greenguard Gold certification..
NSF: Dekton® and Silestone® have been tested and evaluated by NSF under NSF/ANSI 51, which is a toxicological evaluation of all product ingredients, conducting proficiency testing and successfully passing impromptu audits annually in all anufacturing sites. LGA: certification granted by the German consulting firm LGA QualiTest GmbH, which recognises the highest levels of hygiene in products. Cradle to Cradle: Silestone® Eco Line has obtained “Cradle to Cradle” certification, a measurable system which promotes total recycling and sustainability, key architecture and construction trends. 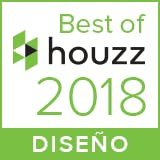 LEED: Dekton® and Silestone® Eco Line add points to the LEED rating system, developed by the Green Building Council to standardise ecologic constructions. ETE / ETA: Environmental Product Declaration granted by “The International EPD Consortium” to Silestone® Eco Line. Cosentino was analysed under strict evaluations for the Silestone® Eco Line production in its factories and all its indirect and associated processes. They include more than 1500 productive processes and 200 raw materials.